Stacks of Christmas joy, originally uploaded by BigAssSuperBlog. I thought we were going to "tone it down" this year. 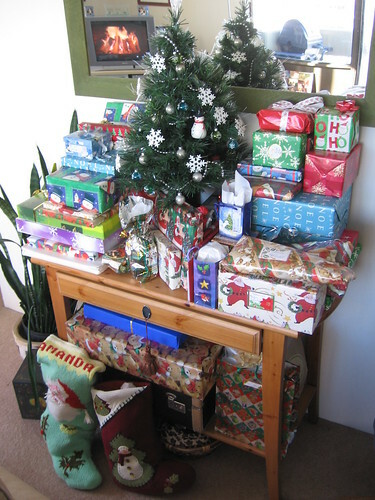 All these presents are dwarfing the tree. So are you going to tell us what was in the boxes?